Tomorrow’s Christmas Eve, a very important time of year for every Polish household. First of all, in Poland we open our Christmas presents on Christmas Eve, not Christmas Day. And second, every Polish family is going to have one common fish for dinner tomorrow evening, the carp. Getting carp in Los Angeles back in the day was tricky. Only certain Asian markets carried it and we usually found it in a local Filipino store nearby. In Poland, carp is the king of Christmas Eve, and starting some three weeks back it was already available in most supermarkets…alive! That’s right, swimming, breathing, at times half dead, but mostly still alive in huge water tanks right in the center of the fish isle. 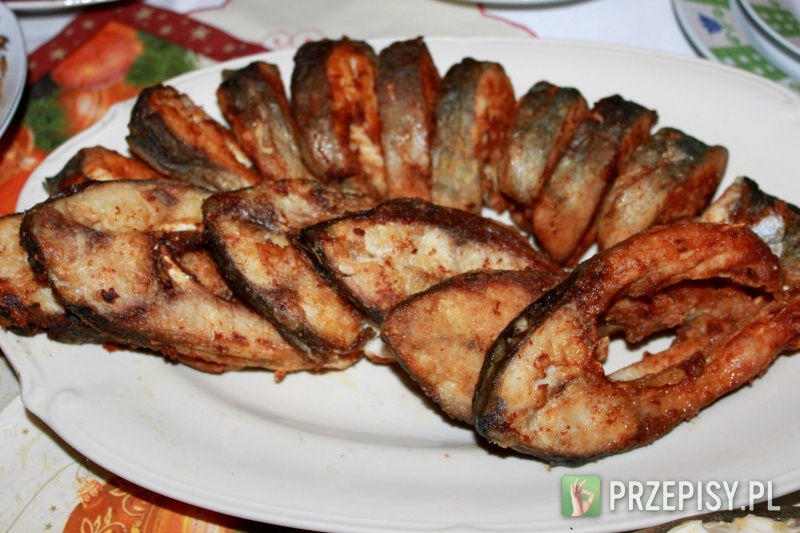 Carp is the only fish us Polish people feel the need to buy live and kill ourselves for the festive evening meal. Why? Most will tell you it’s a tradition. Actually, I’ve heard this explanation many times this year. “No Christmas is complete without carp swimming in the bathtub”. Why? “It’s tradition”. But where did this tradition come from? After a heated discussion on the subject with guys at work, we all came to pretty much one conclusion that a bathtub swimming carp is a relic of the communist era Poland. It used to be that stores had nothing but dust on their shelves during communism in Poland, and you still needed special food stamps to get in line for whatever might be delivered that day. You never knew when stuff was gonna show up, so naturally when carp showed up a week before Christmas you bought it and let it swim in your bathroom. Somehow this stayed till this day, but times have changed. This is my fourth Christmas season in Poland since my move back, and it seems that every year calls to stop live carp sales are getting louder and louder. And I have to agree. I don’t buy live catfish, salmon, or trout and let it swim around my bathtub before dinner time. So why carp? Because my parents used to do it? Because it’s tradition? I’m going to spend Christmas with my girlfriend’s family which already bought 3 carps for the many fish dishes that evening. For the first time in many years I’ve witnessed the fish go from swimming to being sliced up on the table. Was it humane? Someone would have killed it after all. But does it have to wait all the way to my bathtub to die, that’s the real question. Either way, that’s all I have to say about that.